Discover this magical place which evokes images of shimmering, crystal clear turquoise waters, white sandy beaches, stunning lagoons with tropical fish & colourful corals, volcanic mountains – experience fun, romance, adventure & Polynesian culture. The list is endless. Take the time to explore this region in your floating hotel room, at your own pace and soak up the atmosphere of French Polynesia and all she has to offer. French Polynesia consists of 118 islands grouped into 5 archipelagos: The Society, Tuamotus, Gambier, Austral & Marquesas. 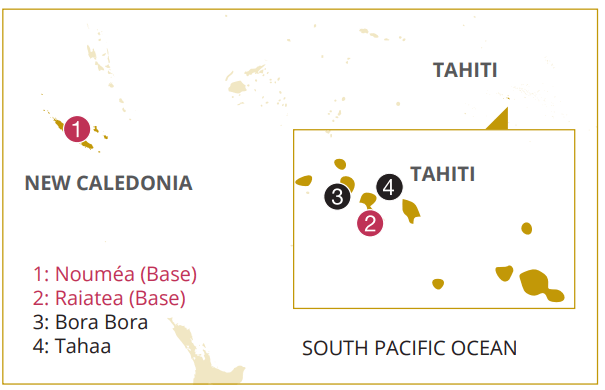 The Society Islands are subdivided into the Windwards (Tahiti, Moorea, Maiao, Tetiaroa & Mehetia) and the Leewards (Huahine, Raiatea, Taha’a, Bora Bora, Maupiti, Tupai, Maupihaa, Manuae & Motu One). The Dream Yacht Charter base is located in Uturoa Marina, Raiatea. 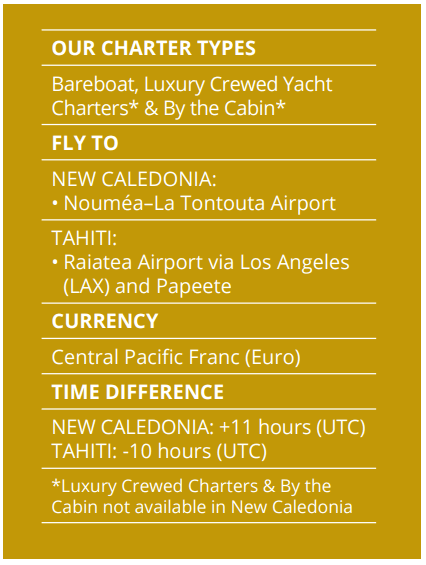 There are daily flights from Papeete with Air Tahiti (40 minute duration) and also ferries but these tend to be infrequent. Dream Yachts have Harmony monohulls 47ft & 52ft and a range of Catana Catamarans from 41ft to 50ft. 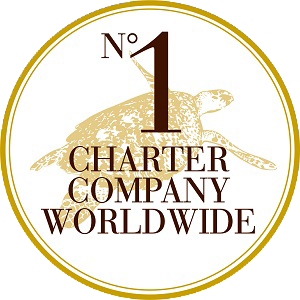 If you don’t have the required experience for a bareboat charter, we also offer cabin cruises or fully crewed private charters. 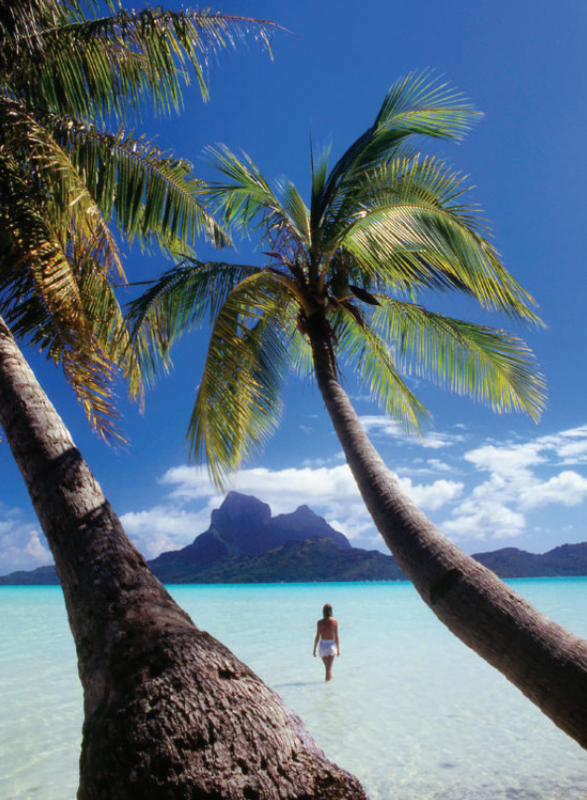 The French Polynesian islands enjoy a tropical climate with the average ambient temperature around 27˚c. The waters of the lagoons are reasonably constant at 26˚c. The wet season runs from November to April with average temperatures between 29˚c to 35˚c and the dry season runs from May to September and averages 25˚c to 29˚c. The trade winds blow from east to west and from July to September the maraamu (south wind) can be around 25-30 knots. From December to February the toerau (north wind) can be 20-30 knots. 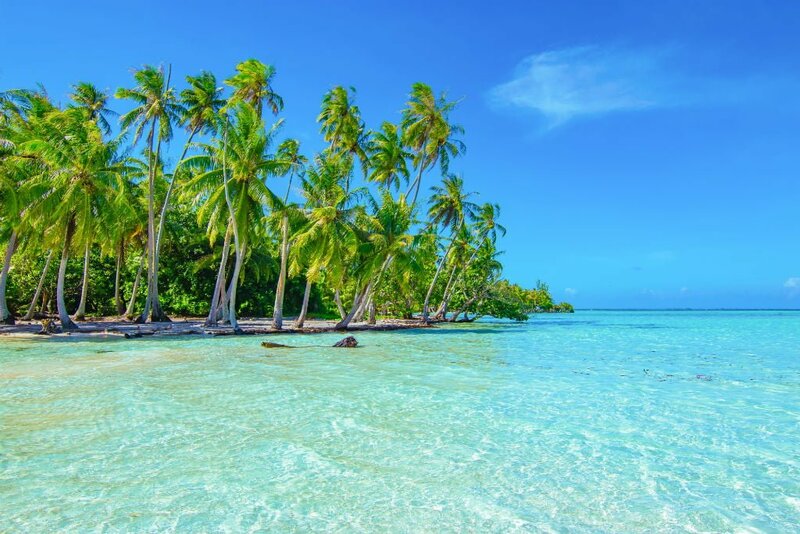 One of our staff members, returned from a reportedly awesome 10 night sailing holiday in French Polynesia and can now advise you first hand of everything you need to know about this exotic destination.